Interested in board games, missions, skiing or karate? We’ve got you covered. Clubs allow students to discover and pursue their passions outside of the classroom. They help students develop leadership skills and identify their spiritual gifts. Clubs and Club Sports are administered by the guide of the administration and athletic staff at HCS. Each club and club sport is either teacher or parent run. The program strives to provide thought-provoking and competitive athletic opportunities for students. These programs provide an excellent avenue for students to enhance their knowledge and skills in a specific hobby, activity or sport through social, cognitive, and physical experiences. 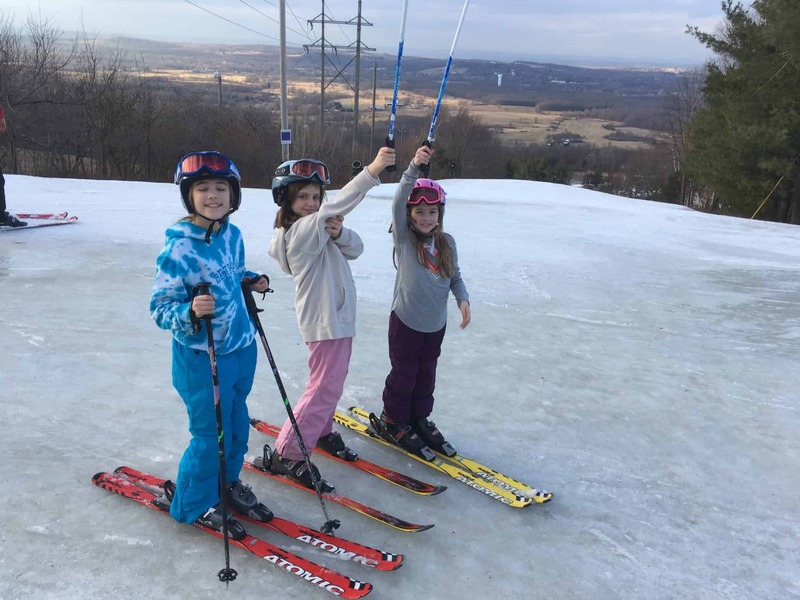 Ski club is held at Mt. Peter in Warwick for 7 Wednesday’s, starting January 2 till February 13. You can ski or snowboard from 3pm-9pm. They also provide lessons for an extra charge for those who want to learn at 5 pm for an hour. They also rent all the equipment you need if you do not have any. Mt. Peter is a very family friendly run place. Every parent is responsible for providing their own transportation for their children. You can ski or snowboard with your child(ren) as well. Our family especially enjoys these night that we can spend together amid the craziness of life. All forms must be filled out, signed and paid for by November 12 and handed into the office. Girls on the Run inspires girls to recognize their inner strength and celebrate what makes them one of a kind. Trained coaches lead small teams through our research-based curricula which includes dynamic discussions, activities and running games. Over the course of the ten-week program, girls in 3rd-6th grade develop essential skills to help them navigate their worlds and establish a lifetime appreciation for health and fitness. The program culminates with girls positively impacting their communities through a service project and being physically and emotionally prepared to complete a celebratory 5K event. Cost is estimated $175 for upcoming Spring Season. Play a variety of board games new and old! All you need to do is show up! Play board games with your friends and maybe make some new friends in the process. We have a very large collection of board games, all with very high replay value, so you will never have to get tired of playing the same games over and over! Come join us for a few hours of chill out fun and relaxation. Contact Mr. Bridgman or Mr. Bergin for more info. The club takes place in Science room 21. Don’t get bored, get your board on! Interested in organizing a club? Harmony Christian School is always looking for parent or teacher volunteers to organize a new club or help run our existing clubs or club sports programs. If you are interested, please let us know! If you are in need of more information, please either click the button below and fill out the form on the contact page or contact the school office directly. According to Niche.com, Harmony Christian School is ranked #3 Best Private High Schools in Orange County, NY and #19 Best Christian High Schools in NY State. Schedule a visit to our school to learn more about the exciting opportunities that await your child. RE-ENROLLMENT FORMS SHOULD BE RETURNED AS SOON AS POSSIBLE TO RESERVE YOUR CHILD'S ENROLLMENT FOR THE 2019/2020 SCHOOL YEAR! CLICK HERE TO SUBMIT ONLINE!